Skylar Lipstein is a New York City, New York-born American actor and singer probably best known for his role as Jessie Swanson in the movie “Pitch Perfect”. 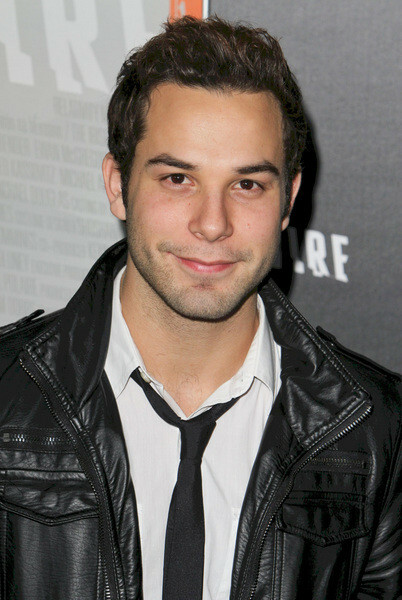 Born on 23 September 1987, Skylar is Jewish and is professionally known as Skylar Astin. Regarded as one of the most talented personalities of Hollywood, he has been actively entertaining us since 2005 as both an actor as well as a singer. A multi-talented artist who has managed to impress his fans with both his acting and singing skills, one may wonder how rich is Skylar as of now? For now, Skylar has been counting his net worth at $1 million. Needless to say, his involvement in showbiz has been very significant in making him a millionaire as of now. Moreover, being a part of successful Hollywood movies like “Taking Woodstock”, “Pitch Perfect” and more have been adding extensively to Skylar’s net worth over time. Raised in New York City and Rockland County of New York, Skylar was schooled in Clarkstown High School North. After graduating from high school, he attended Stagedoor Manor performing arts summer camp to give a direction to his acting skills. Next, he attended New York University at Tisch School of the Arts but left college before graduating in order to pursue a career as an actor. Due to his inclination towards performed arts, Skylar chose acting as his career and initiated it by acting on Broadway. In 2005, Skylar managed to grab his breakthrough role as he was cast in the Broadway musical “Spring Awakening”, and the play went on to become very successful and earned Skylar fame, although he was playing a minor role. Later, he became more prominent in movies and has performed in films like “Hamlet 2”, “21 & Over”, “Cavemen” and several more. His most successful movies to date have been “Pitch Perfect” and “Pitch Perfect 2” in which he portrays the role of the character Jesse Swanson, and for which he won a Teen Choice Award for Choice Movie Actor Comedy twice in 2012 and 2015. Apart from movies, Skylar has also been prominent on television and has appeared in shows like “Love Bites”, “House”, “Ground Floor”, “Glee”, “Comedy Bang! Bang!”, and many others. Obviously, his contributions in all of these movies and television shows have added a lot to his net worth over the years making him a millionaire as of now. During his career, he has been rewarded with several other highly regarded awards, including a BTVA Feature Film Voice Acting Award for his voice acting in the animated movie “Wreck-It-Ralph” in 2012. More recently, Skylar has been filming for his upcoming movie “Flock of Dudes” and television series “Graves”. Talking about his personal life, Skylar is engaged to actress Anna Camp who has been his girlfriend since 2013. For now, Astin has been enjoying his life as a millionaire celebrity, a talented actor as well as a singer while his present net worth of $1 million has been catering to his daily life. 1 The 1990s, in New York at least, were all about who could have the baggiest pants, and I definitely got swept up in that fad. Luckily, it didn't last long - but I've made sure that my pants fit ever since. 2 Skylar is my first name and Astin is my middle name, and my real last name is Lipstein. When I was 15, I think my first agent just kind of did it for me. I'm not ashamed, I'm not embarrassed, but she said it was just less specific to one thing and she kind of chopped it off. But forever to my friends I will be Skylar Lipstein. 3 I have never read a review for anything I have ever done, be it for theater or movies, just because. I am really good about that. And YouTube comments. People will hide behind that. 4 I'm definitely lucky to have been included in some of the perks of my brother's connections in the fashion world. It's helpful considering I'm still like a five-year-old when it comes to shopping. 5 I like that 'Pitch Perfect' is one of my first forays into film and just being seen in that kind of light, aside from some people who know me from 'Spring Awakening' or the other things that I've done. I think in so many ways it's kind of like my own 'Glee' or 'Smash'. 6 I worked on dramas before, I love sinking my teeth into something dramatic or a period piece, but there's something so fun about doing a comedy. When you go to set and your only job is to make people laugh, there's an unbelievable energy on set. 7 The thing about a pick-up line is, even if it works, then what? I just figure you unapologetically be yourself, and if it works, cool. 8 Hollywood, young or otherwise, is a very trend-driven town, and that can get a little out of hand at times. I just try to stay true to my own personal taste - incorporating my personality while not taking myself too seriously. 9 You definitely have to be focused at certain times in your life and in your career, but at the end of the day, there's only so much you can do. Then you just have to chock it up to fate. 10 I like to do things that are shocking or challenging for the sake of comedy. 11 I think that I am willing to do anything. I like to collaborate. If my voice will be heard, than I will do some research and think about it. 12 I always separate myself from reviews, but tweets and Instagram comments, they go directly to my phone. It's hard to keep up. 13 I cannot sing karaoke because it's hard and weird. If I actually tried to sing, I would probably sound good, and I think that's weird and not fun. 14 I do like to dress up and look nice, and I'm inspired by people who do the same - people who express themselves through how they dress. 15 I don't believe in pick-up lines because I've always been very comfortable in my own skin. 16 My introduction to acting was through theatre, so I actually saw a couple of Broadway shows that made me want to be an actor. 17 I don't take myself too seriously. I think that's something so many actors and people in general tend to do. 18 I do come from a theater background, where the playwright is optimal and king and you have to serve the playwright. So I am, of course, a huge fan of scripted everything. 19 I first got into acting when I was 14, coming back from a junior high school basketball game. My mom picked me up and she had been mentioning, prior to that, this community production of 'Godspell', a couple towns over. I was reluctant, at first, and she bribed me with some great dinner that was in that town, neighboring the theater. 20 A lot of times, actors and directors don't want to repeat something. I don't think we're repeating something, but I think there's certainly a genre that we're in, and we're happy to embrace it. 21 There are definitely times where I am listening to the radio, and I think, 'That would be awesome. I would love to sing that.' It's this weird karaoke fantasy that I might someday get to live out on the big screen. 1 (September 10, 2016) Married his girlfriend of 3 years, Anna Camp, in an outdoor ceremony on the central California coast, following a 8-month-long engagement. 2 He has a sister named Brielle and two brothers named Milan and Jace. 3 His agent chose his middle name Astin to be his stage name when he was fifteen. 4 Before becoming famous, Skylar worked in the deli of a natural foods store called Back To Earth in New City, New York. Hamlet 2 2008 performer: "Raped in the Face"